The 2018-19 campaign has come to a close and a group of four drivers in the ARL Experimental Racing Series traveled to the original, low-banked Homestead-Miami Speedway. 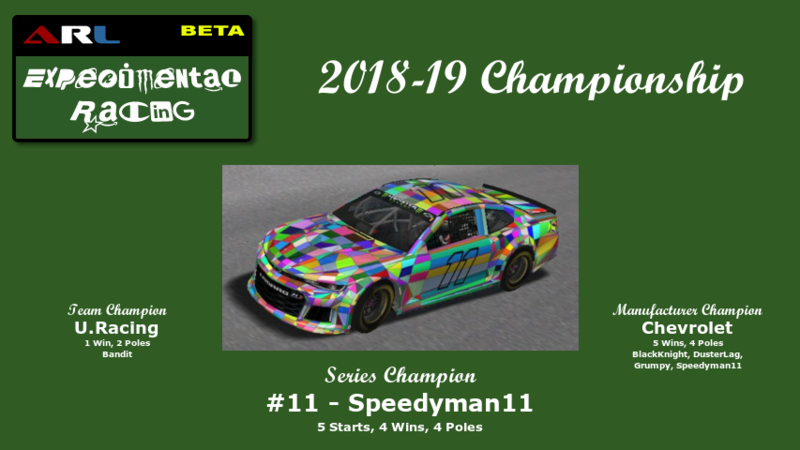 Speedyman11 has officially captured the 2018-19 Inaugural ARL Experimental Racing Series championship. The 2018-19 campaign is starting to come to a close and a group of four drivers in the ARL Experimental Racing Series traveled to Concord. The 2018-19 campaign has entered the second half on the season and a group of five drivers in the ARL Experimental Racing Series traveled to Infineon Raceway.